On my first day at Remind, I was setting up my development environment when I received a meeting request from our Head of Customer Support, Natalie. As an engineer, I had never worked closely with the Customer Support team, so this invitation was a little puzzling. Since I had been with the company a total of 3 hours, I decided to go with it. The hour flew by. Natalie was amazing as she walked me through the product and helped me answer a few customer emails. After this brief orientation, I was ready to dive into my first (trivial) task and frankly, never lay my eyes on ZenDesk again. But just as I was packing up, Natalie mentioned something called “Live Chat” — a company-wide program where everyone commits to an hour of live support a week. I’m not your stereotypical nerdy engineer. Sure, I might have some introverted tendencies, but I’ve never found it difficult to connect with people. Being the voice of Remind to our users, though? Why would the company trust me with such a huge responsibility? Talking to real people who use our product has been hugely motivating for me — and I believe it makes me a better engineer. I’m not into building for hypothetical users, but I am totally stoked about impacting the lives of my favorite teachers and people I’ve personally connected with on Live Chat. Live Chat is my opportunity to see our product from the perspective of a teacher. To me, it might make total sense to view the messages from all my classes in one place. But for teachers and students, they might find “a cool new view” confusing because it complicates their actual workflow. Having this kind of customer empathy built into my week is what drives me. In practice, instead of feeling discouraged, or worse, apathetic, about having to refactor a feature to simplify our product, I now have a sense of urgency. I feel responsible for what I build, because its in front of a real, breathing person whose life I can make a tiny bit easier. When the ping of my first Live Chat request came in, I went from feeling panicked to having a grin on my face in 5 minutes flat. As an iOS and back-end engineer, I’m in a unique position to field a customer query. I have the power to resolve something that is a pain-point to a customer, ship that fix, and get feedback about whether the solution worked or not. The feedback helps me build a better, more valuable feature for users — not just a cool, technically-challenging one. 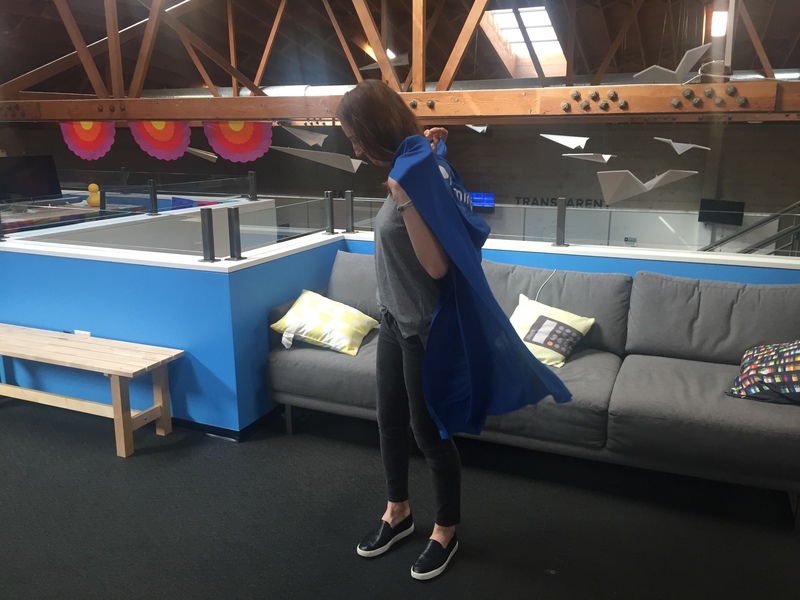 My hands no longer shake when I put on that cape every Tuesday. I look forward to connecting with our users and figuring out ways to help them. They remind me why I became an engineer.